Our aluminum market umbrellas offer a 30 degree tilt position simply by turning the collar above the crank handle?even while sitting down. This feature is easy-to-use. 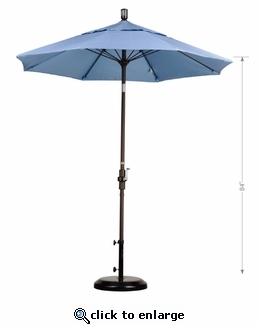 Pole is 1.5" diameter to fit most tables with umbrella holes. Available in Bronze finish.